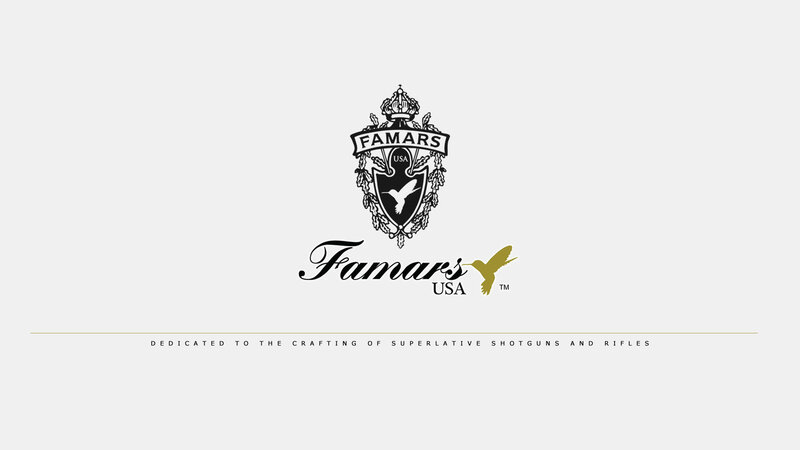 Our mission at Famars is to bring the world’s finest to you. 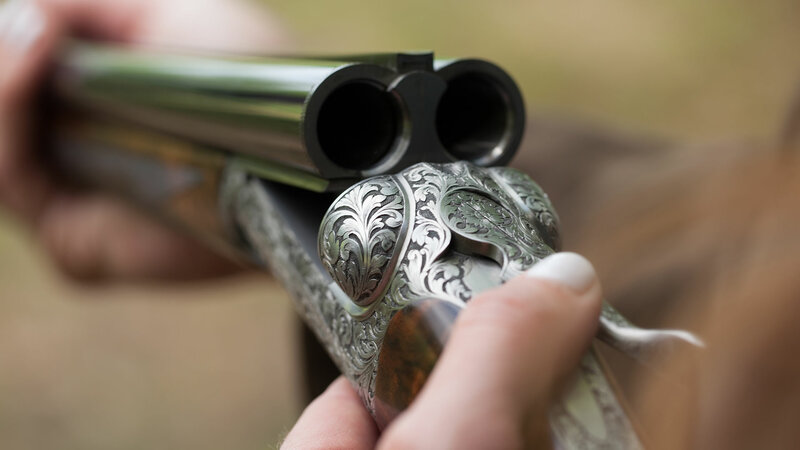 With unparalleled performance, reliability, and quality we emulate what every gun maker strives for… perfection. The intricacies of our mechanisms have been copied by others, but do not approach the genius and innovations that have turned FAMARS Shotguns into icons. 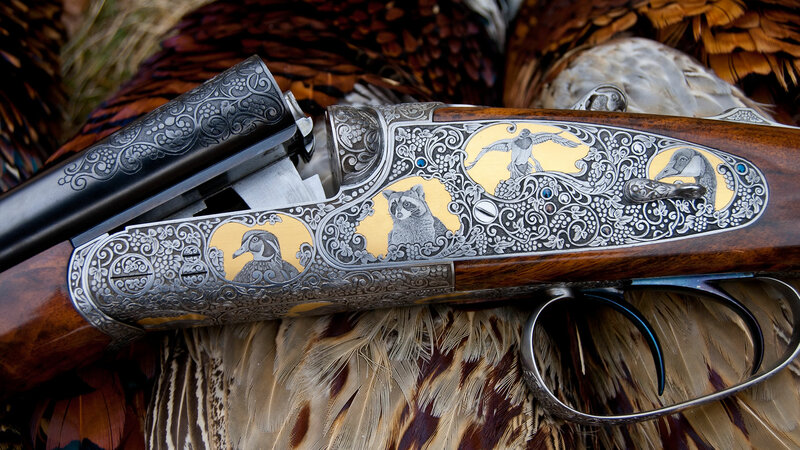 Our technology and everlasting beauty turns our shotguns and rifles into family heirlooms. 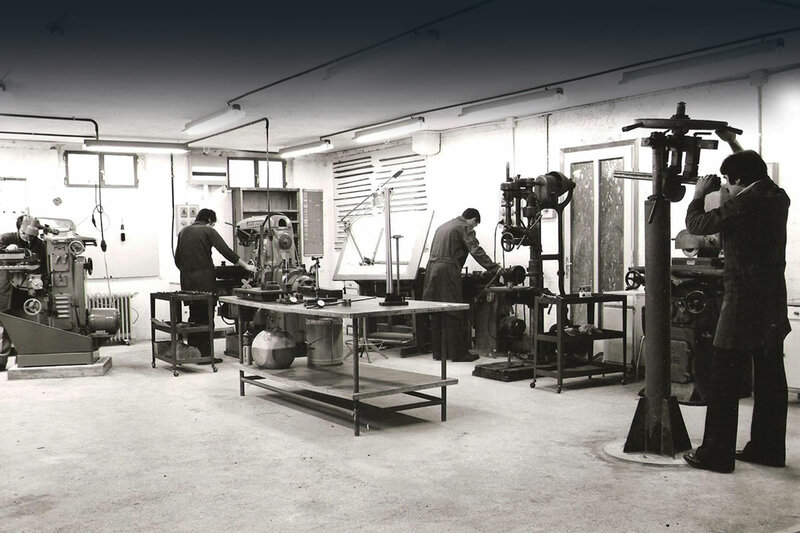 In 1967, in the beautiful town of Gardone Val Trompia, Italy, young gunsmiths Mario Abbiatico and Remo Salvinelli, both sons of men involved in the area’s gun making tradition, joined together to form FAMARS: Fabbrica Armi di Mario Abbiatico e Remo Salvinelli. 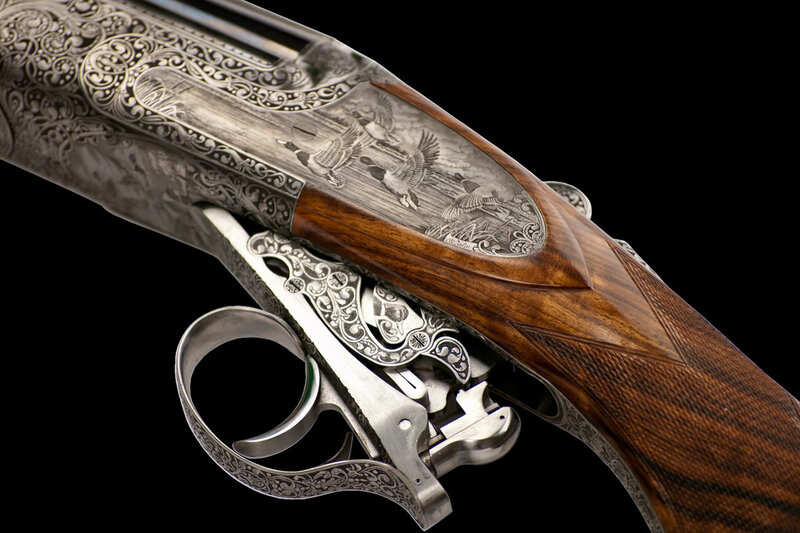 Mario and Remo fused their love for double-barreled long guns with their passion for the art of Bulino engraving. 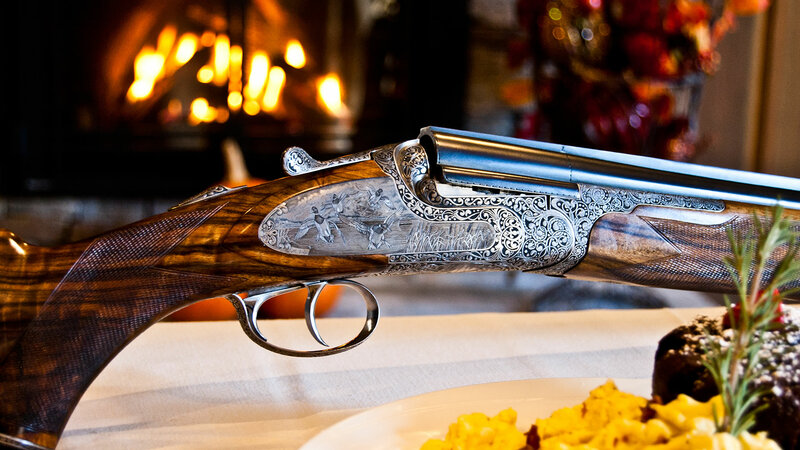 Since its inception, FAMARS has been a leader of progress in bespoke gun design; owning many key developments over the decades, from a self-cocking hammer gun to a four-barreled shotgun to a removable locking mechanism. FAMARS has introduced fine masterpieces with engraving and photo realism paired with the finest precision in elegance, fit, finish, and function. 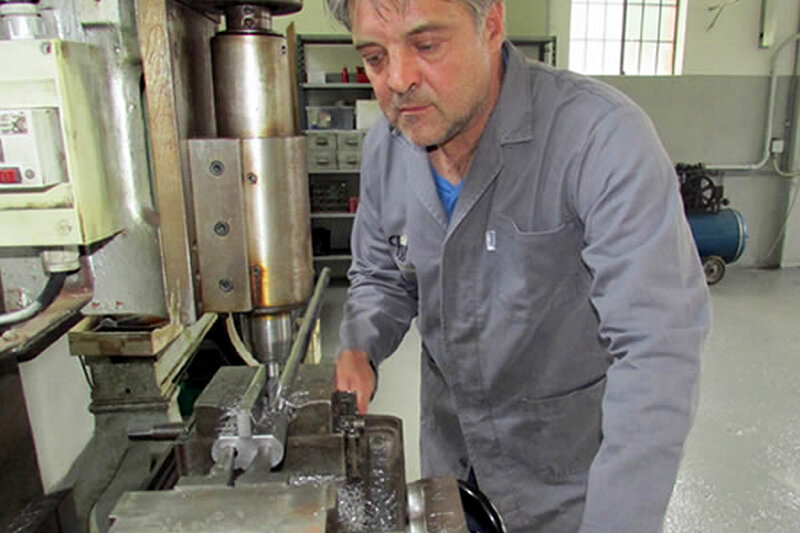 Each day in Brecia, Italy, the Silicon Valley of gun makers, our craftsmen at FAMARS work each minute of every hour to keep true to the tradition of gun making; continuing to create all of our firearms by hand. Hand shaped, personally fit, and engraved with the finest detail, we at FAMARS are proud to continue in the footsteps that Mario Abbiaticao and Remo Salvinelli made so prominent back nearly 60 years ago. 24 year FAMARS veteran, Paolo Peli has worked diligently year after year creating many great FAMARS models such as The Rombo and the Tribute. 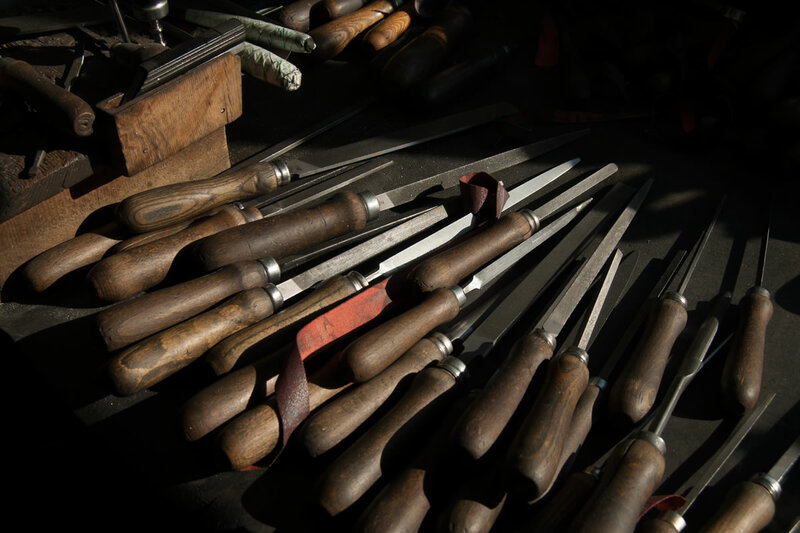 Keeping the handmade tradition of true gun making strong today, alongside Paul Mihailides, each gun is carefully made under a meticulous eye to the customer’s exact specifications. The end result is an innovational and timeless masterpiece that is truly one of a kind. 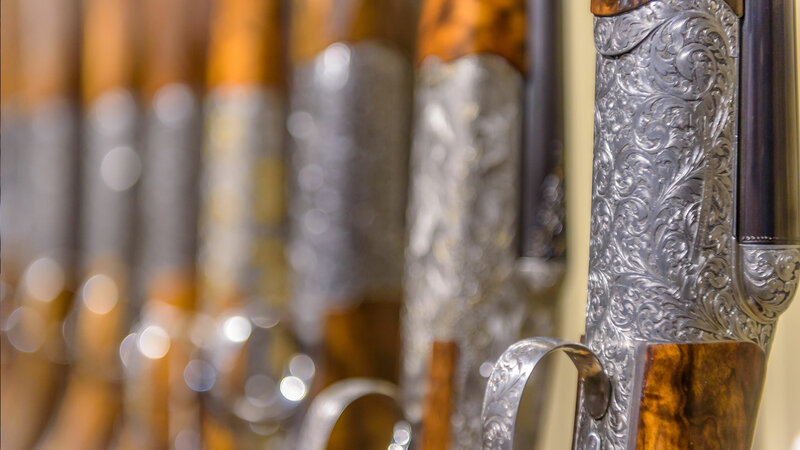 Together they have a beautiful collection of fine bespoke guns unmatched by any other. 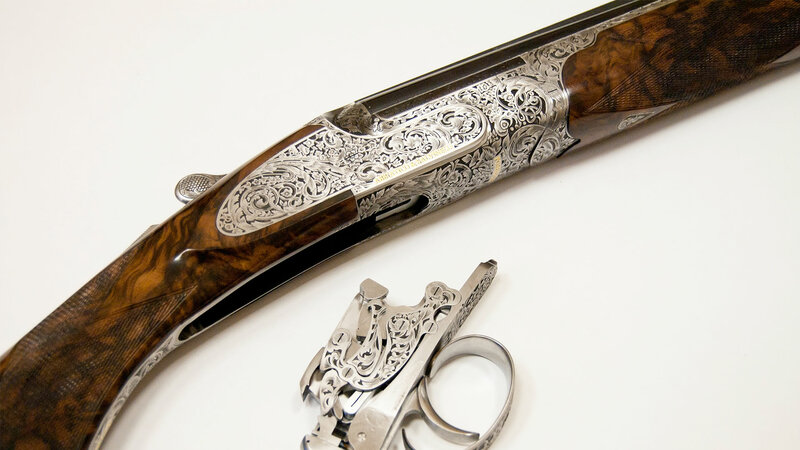 All of our guns are beautifully adorned with the finest Italian hand engraving ranging from beautiful rose and scroll designs, to exotic game scenes, floral patterns, and stunning gold inlays. A gun is only as good as its proof, and through this, Paolo Peli and Paul Mihailides initials label each and every FAMARS gun artfully crafted in the Italian born factory. 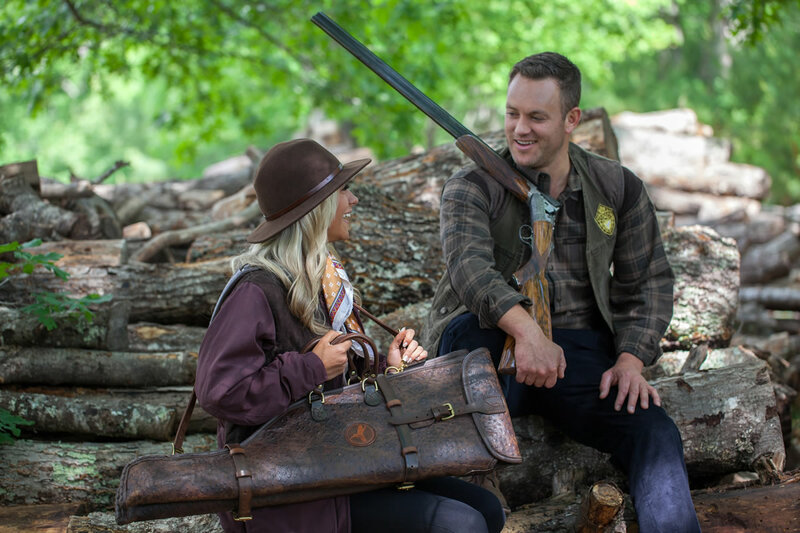 Introducing a new line of Lifestyle clothing and accessories brought to you by your favorite fine gun manufacturer, FAMARS. Haute couture, boutique gifts, and exotic bags to suffice any day out. Lifestyle by FAMARS, not just a clothing line, a Lifestyle. 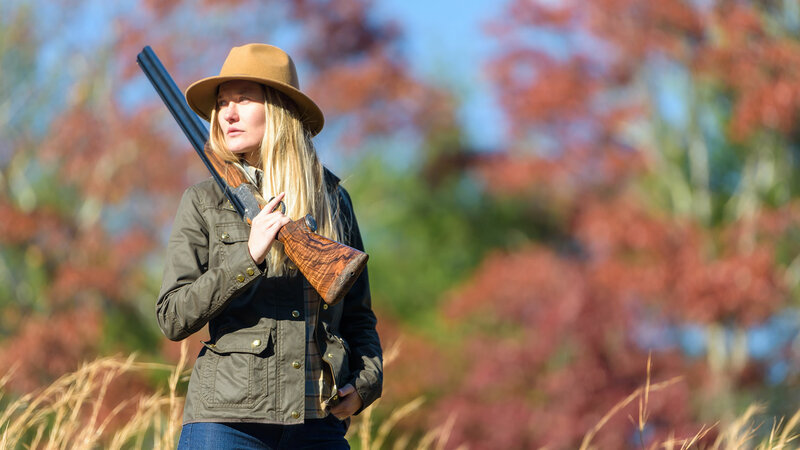 Introducing our newest stocking facility, The Sporting Shoppe, at The Preserve, located in Wyoming, Rhode Island; A private four season sporting retreat dedicated to providing extraordinary and natural experiences for the select few who call it their own. 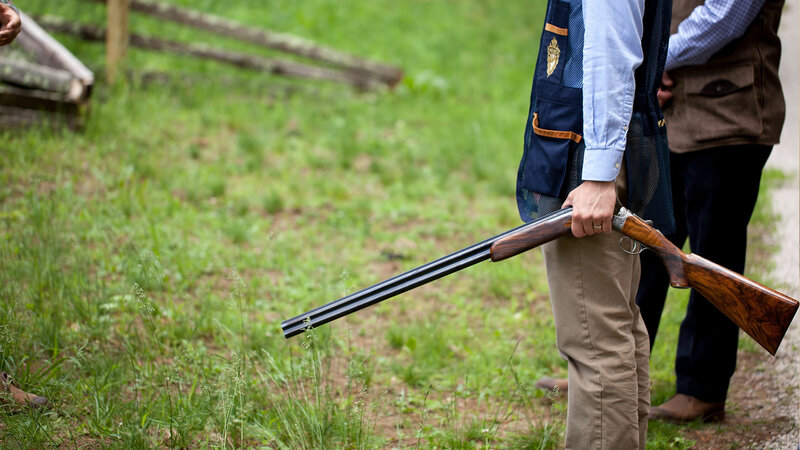 The Sporting Shoppe is open to the public 7 days a week. The Preserve at Boulder Hills is built on a gathering of owners who share a VISION to enjoy this beautiful land and the camaraderie of each other for generations to come. 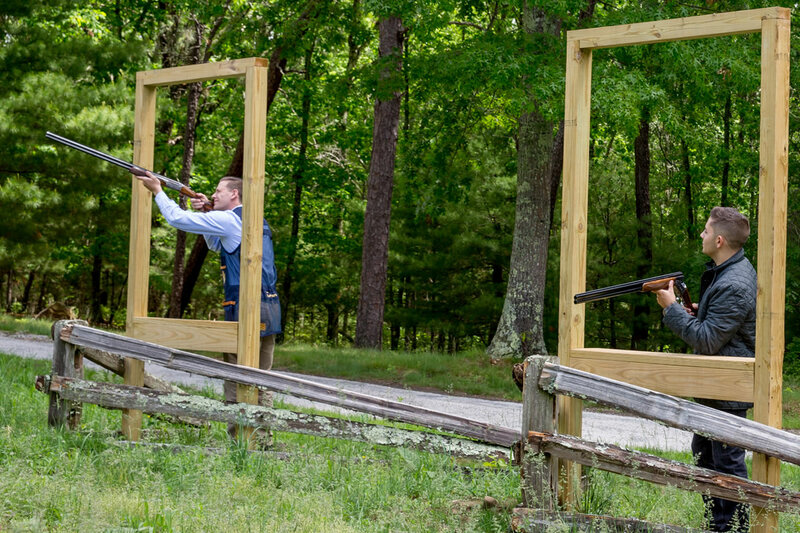 At The Preserve you will spend your days enjoying the PRISTINE WILDERNESS of New England in a lush and unspoiled setting, and at night relax in your own private lodge.